The team at Byrd Eye Clinic believes good eye care involves state-of-the-art treatment as well as common sense prevention. This emphasis on both in-office care and at-home tips for patients is what has made us a leader in eye care in the greater Detroit area. Prevention is particularly key to consider when it comes to cataracts, a common cause of age-related vision loss. Wearing sunglasses and a hat outdoors can help shield the eyes from UV rays and avoid cataract formation later in life. Yet perhaps the most important thing a person can do with regard to cataract prevention is quit smoking. Cataracts refer to the clouding of the naturally clear lens of the eye. When cataracts occur, the lens clouds over. This lead to blurry or hazy vision. When the lens is completely clouded over, it causes serious vision loss. Cataracts may form naturally as part of the aging process or as a result of injury to the eye, but their likelihood of forming increases if a person smokes. A routine cataract removal surgery can help address the problem, but prevention is always ideal. In fact, if you do not smoke and are rarely exposed to second-hand smoke, you are far less likely to develop cataracts as a result of the natural aging process. How Much More Likely Are Smokers to Develop Cataracts? Regular smokers are twice as likely to develop cataracts as non-smokers. 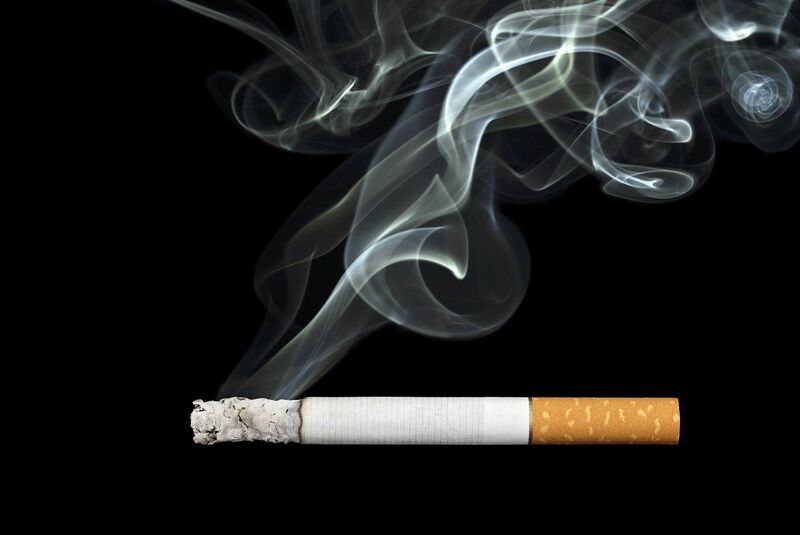 Heavy smokers are three times more likely to develop cataracts than non-smokers. Given the significant increase in risk, the link between cataracts and smoking simply cannot be ignored. If I Quit Now, Does My Cataract Risk Decrease? By quitting smoking, you can reduce your risk of developing cataracts in the future. A Swedish study of middle-aged men who quit smoking found that at the time they smoked, they experienced a 42% increased risk of developing cataracts. Men who quit smoking were able to reduce their increased risk of cataracts to 21% over the course of 20 years. In other words, smokers will still experience an increased risk of developing cataracts, but the risks will not be quite as high if they quit sooner rather than later. Quitting smoking can be easier said than done. Many people have tried to quit but have run into difficulties given how addictive nicotine can be. Thankfully there are many resources available to help make quitting a reality. We'd be more than happy to discuss tools that can help you quit smoking. This will help you avoid cataracts, various eye conditions, and other serious health problems that can result in a lower quality of life. To learn more about cataracts, how they form, and how they can be dealt with, be sure to contact our advanced eye care and vision center today. The team at Byrd Eye Clinic is here to help you see clearly again and experience improved eye health.